It’s finally here, the first cold day of the year. You know what that means, Winter is coming. As IF it’s the end of September already?! What happened to Summer? With cold nights settling in, there’s nothing more satisfying than a hot bath or shower and I’ve started to really invest in my shower pals so that my evening routine becomes more of a luxury. Also, having fancy brands in my bathroom will make it look less rubbish, right? I hope so. 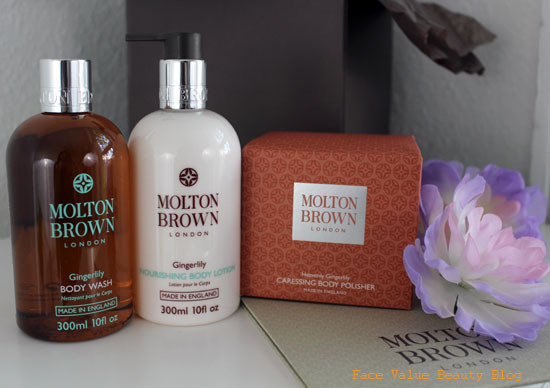 When it comes to luxury in the bathroom, there are a few brands that spring to mind and Molton Brown is one of them. 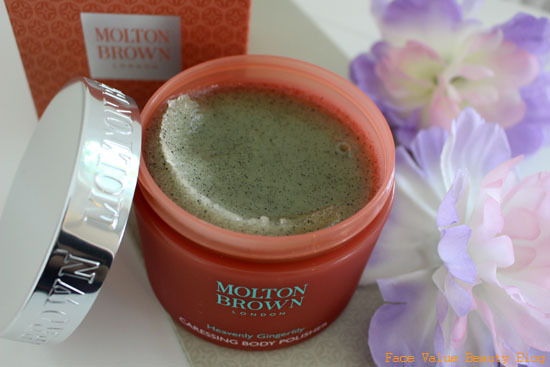 I only ever get Molton Brown on special occasions (mainly Christmas – what is it with bath stuff at Xmas?!) 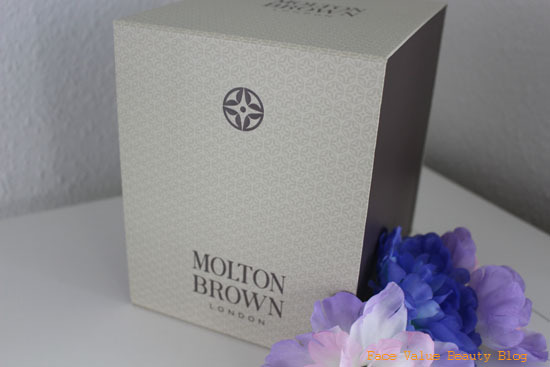 so a little Molton Brown hamper was very welcome in my bathroom! Hello Autumn and HELLO SURPRISE LUXURY BATHROOM PRESENT FOR ME! Hello new friends! It’s a Gingerlily Body Wash, the Gingerlily Nourishing Body Lotion and (my favourite) the Caressing Body Polisher. The new Gingerlily scent is great, like a lot of Molton Brown scents. It’s hearty and warming, with hints of ginger and cedarwood, whilst also remaining floral – that’s where the White Lily comes in. Hiya. Like all Molton Brown shower gels, the texture of this Gingerlily Body Wash (£18) is silky and not too foamy so it feels luxurious and high end, as opposed to the bubbly cheap stuff. The Gingerlily Body Lotion (£25) contains Polynesian Tamunu Nut Oil (whatever that is – but apparently it’s moisturising!) and goes on evenly and smoothly. How I’ll get through that whole bottle, I’ll never know, so I feel like the price is justified as it will last FOREVER. 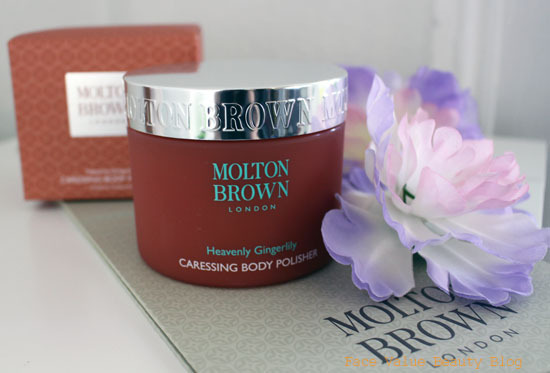 My Molton Brown favourite is definitely this Gingerlily Caressing Body Polisher (£34). Yup, caressssssing. It’s like a thousand grains of sugar, suspended in a lovely scented oil. Actually, it’s micro-exfoliating Tahitian volcanic sand which gently buffs skin and the gel transforms into silky milk upon contact with water. Result. Tahitian sand? Polynesian Nut Oil? This Heavenly Gingerlily range is a great, exotic sounding collection isn’t it! This is what the higher price tag gets you I guess. Personally, I think it’s worth the price, because the products will last you ages but the REAL beauty is that the scent is not too overwhelming or girly – Mr FV loves it too! Get the full Gingerlily Body Gift Set here for £45.